Happy Thursday Friends. A couple of weeks ago, we celebrated the Tea and Roses Spring Link Party, organized by Amber of Follow the Yellow Brick Home. There were many amazing entries in the link party. I thought I'd highlight a few favorites today. I never stop being amazed by the creativity and ability of others. Grab a tall glass of iced tea and enjoy these links. You can always go back to the link party if you would like to peruse more. Isn't this ladybug wreath darling? 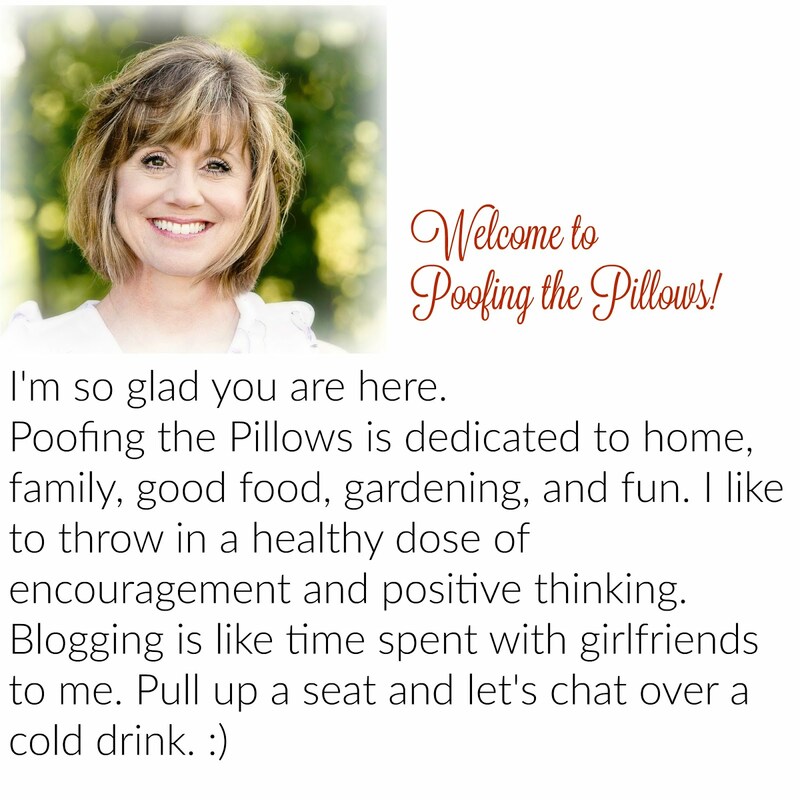 You can find this and many other fun ideas at Debbee's Buzz. Be sure to check out her Bee Decorated Chandelier too. 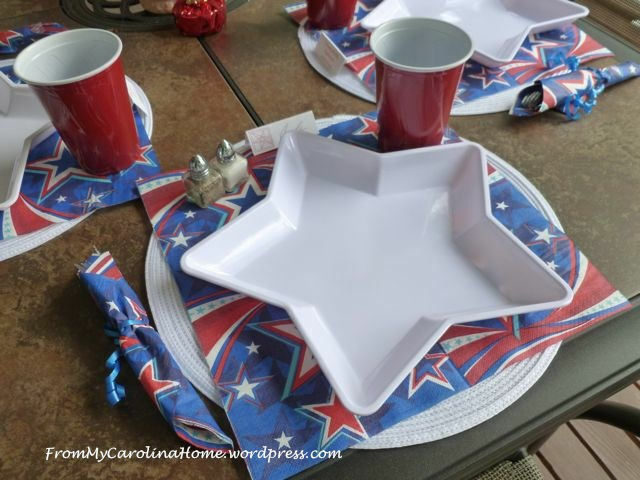 From My Carolina Home shared the perfect patriotic tablescape along with delicious looking crescent hotdogs. They look pretty yummy to me! Sandra at Dinner at Eight shared her amazing spring gardens. I can only dream of having blooms like this. 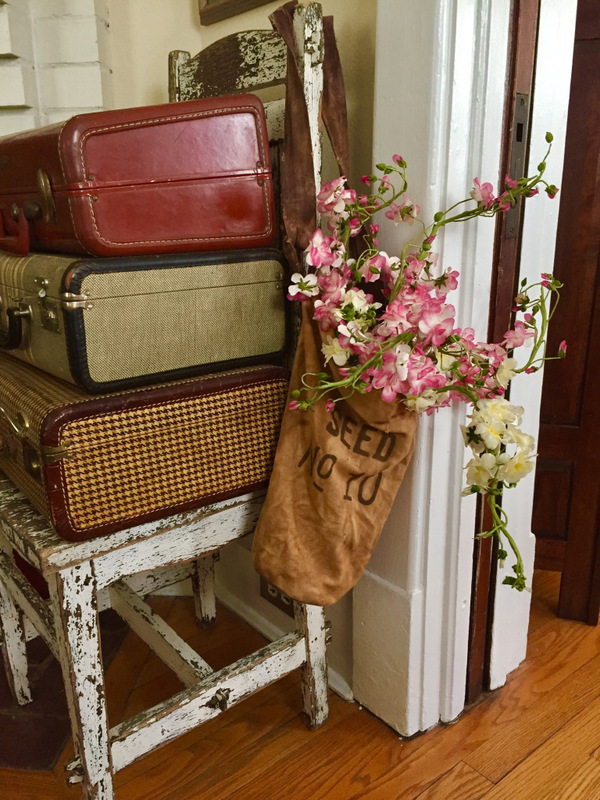 At My Thrift Store Addiction, Cecilia shared 5 Low Maintenance Garden Tips for a Relaxing Summer. Yes please! 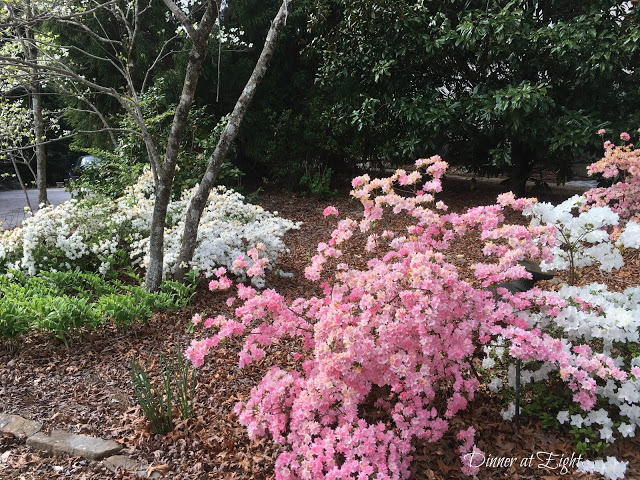 Celebrating the simple joys of spring at A Day of Small Things made me smile. Last but not least, pop over to Jeanie's blog, The Marmelade Gypsy, to see some shots of fun friendly gatherings with tea and delicious food. *The comment email system is currently not working. Please know that I appreciate each and every one of your comments. Good morning, Stacey! There were so many beautiful posts that were linked. All of these are fabulous! 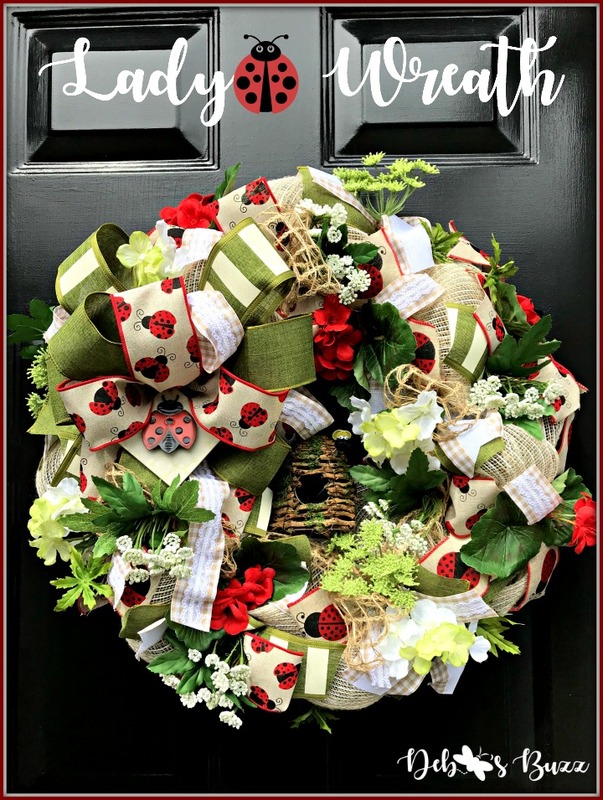 Well, that ladybug wreath just made me smile big time -- and a few things I missed due to my travels! Thanks for adding our make-and-take tea party to the list! I am honored! Thanks for this post. I was too busy to spend much time 'at the tea party' so now I can go back and look at some of these. 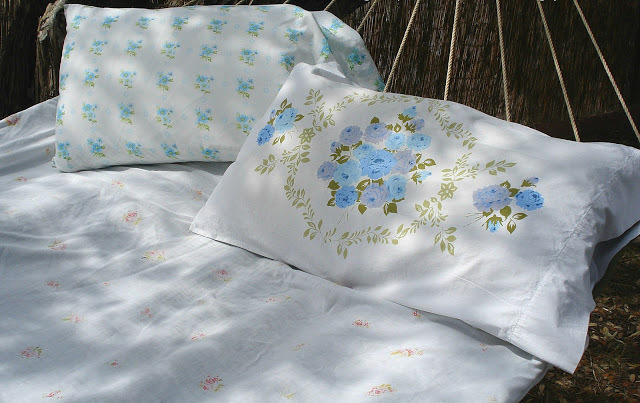 I love those vintage linens. I may put some different bedding on my bed this week! Hugs! Love these features. I am a summer girl and love this time of year and all the fun summer inspiration. Thanks for sharing. Have a fabulous day. What a dreamy round up...there's something fabulous in every one of those photos. Lovely posts. I agree with you I am constantly amazed at the creativity and ability of others also. Thanks Stacey for highlighting some of the posts. Breathtaking posts,love to see again most of them.The wreath is cute!Hugs! Hi Stacey, I love the features that you chose! 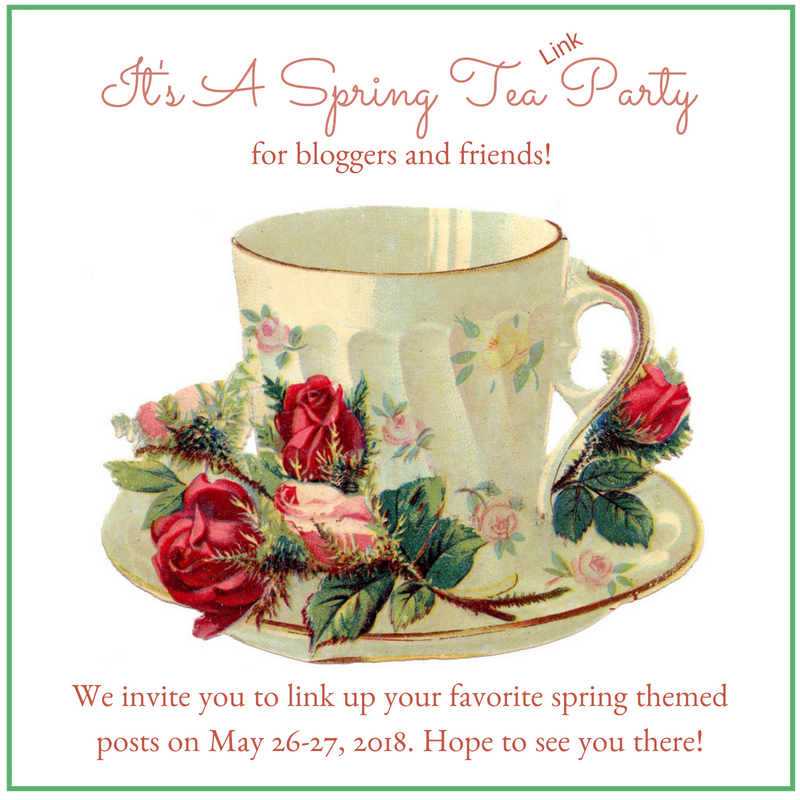 It really was a fun hop and there was lots of inspiration in the link party!